The first episode of this shiny new podcast that I’m on came out last week: Down and Safe, an episode-by-episode look at Blake’s 7. B7, in case you don’t know, is a smashing BBC sci-fi show that aired from 1978 to 1981, and combined awesome banter and fabulous costumes with broke n morality compasses and spaceships. And a budget that very, very much did not match what it was required to do (there were reasons for this – it was replacing…a police show? I think? Something very much Earth modern day based, anyway, and when it turned into a far future outer space sci-fi show they expected them to get the job done with the same money). It’s one of my favourite telly shows, so I’m delighted at the chance to watch it all again, and then get to discuss every single episode with some excellent people: Michael D. Thomas, Scott Lynch, and Amal El-Mohtar who, until we started, had never actually seen an episode of the show, or had any idea what it was about. Such trust! And such relief that she’s enjoying it…so far. If you’d like to give it a listen, or use our brilliant and insightful (ahrrm) observations as an excuse to give the show a try, then there’s our blog, and we’re on iTunes (all ratings and reviews much appreciated! ), and on Twitter @downandsafe. 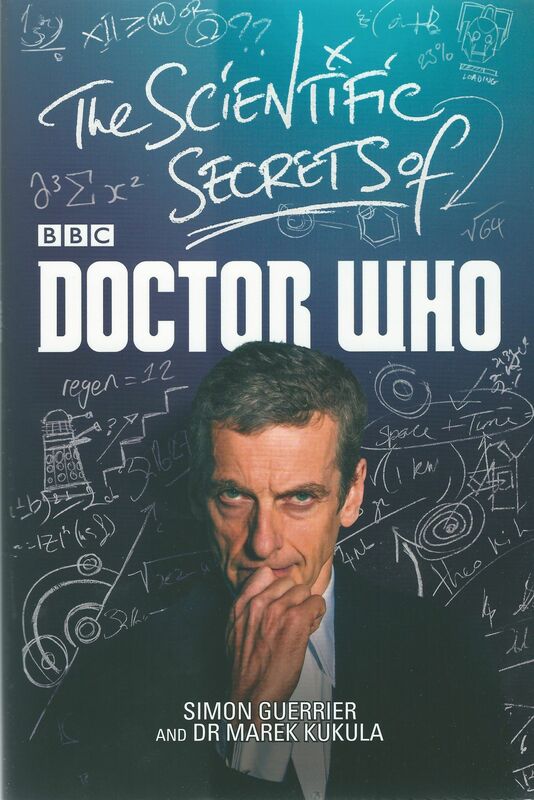 I’m in this rather fab new book that’s coming out on June 4th: The Scientific Secrets of Doctor Who, an anthology of short stories and SCIENCE. And I may have just a *smidgen* of difficulty in mentioning it in a cool and professional manner because I got to write a short story about the Twelfth Doctor. (And Romans!) A teeny tiny little bit of Peter Capaldi’s Doctor’s canon is made by me! And with the fannish delight that incarnation gave me over the past year, it was a rather giddy honour to be able to write an adventure for him myself. There’s also a plethora of other fine writers and their tales within, as well as much talk of scientific things to do with cavorting about through time and space. I’ve dipped into my contributer copies, and it all looks spiffy indeed. There’re some more details about the book to be found over here, and you can pre-order it on Amazon. I was on two – count em, TWO – whole podcasts last week and neither one was Verity! and only one was about Doctor Who, because I’m a multi-facted and layered individual of ENIGMATICNESS. One of these fab podcasts is the ever so brilliant Reality Bomb, where Mr Burk and Mr Kennard let me ramble a bit about that fab book that I edited with Liz Barr and may have mentioned once or twice: Companion Piece. The other is Inconceivable! a marvellously geeky quiz that causes involuntary yelling at your listening device of choice. – Companion Arrivals – is there any better entrance to Doctor Who than getting yourself tied upside down by a skipping rope and stuck in a cupboard? No. No, there is not. – Verity! on Verity! – no, not endless narcissicism but a discussion of Richard Marson’s new biography on Verity Lambert. I quite liked it, but I think I was a bit grumpy when we were recording. Ahem. – Sophie’s So Ace – Interview with Sophie Aldred, yay! She’s lovely so she is. – Companion Farewells – I haven’t heard this one yet, so naturally assume everyone’s wrong about everything. Except Peter Capaldi’s hair, which is generally excellent. And in more Exciting Podcast news, I just edited my first podcast for a shiny new show of audio delight relating to another most excellent classic BBC SF series, and the first episode should be out in the next few weeks. Now I have to do some very grown-up cartoon watching. Bit of a Star Wars Rebels accident. It’s not my fault: their lovely ship, the Ghost, looks like the Ebon Hawk (or. y’know, the Millenium Falcon, whatevs); there is a Found Family Team; it’s episode one and Grand Moff Tarkin’s already got a mention (I know he turns up later! ), and then Jason Isaacs’ voice happened. Plus it’s so fun, and funny, and Star Wars-y. You have no idea how hard I’m trying not to be fannish about Star Wars. It’s for my own good. I quit The Old Republic MMORPG cold turkey at the end of last year because I need More Hours in the day, and that’s been swell and all, but I really miss it, and I’m sure that when I pop back this time I’ll be totally disciplined and sensible and stuff. And then there was the trailer. And I was SUCH A GROWN-UP. With Staunch Admiration of the crash star destroyer panorama, and then Staunch Nostalgia of the Millennium Falcon flying beautifully, and then Staunch Hopefulness at that woman who was TOTALLY dressed in the same outfit as my Sith Inquisitor in TOR, but is probably a Jedi omg she better be. And then Han and Chewie appeared and I regressed to an over-sugared six year old, with the jumping and flailing and OMG!! May the Fourth Be With You! A Pinterest Board of Star Wars Jokes for Star Wars Day!